The ninth episode of Ayman al Zawahiri’s “Islamic Spring” series was released on social media on July 2. The timing of the release, as with previous episodes, was likely delayed. For instance, Zawahiri references his bay’ah (oath of allegiance) to Taliban emir Mullah Mansour, who was killed in a US airstrike in May. The al Qaeda leader does not mention Mansour’s death. Most of Zawahiri’s words are dedicated to praising the Muslims of “East Turkistan” for their dedication to waging jihad around the globe. East Turkistan encompasses the Xinjiang region of China. 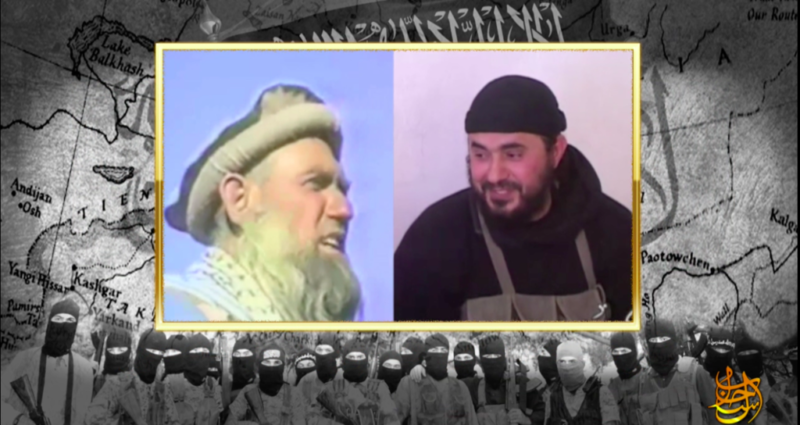 Specifically, Zawahiri lauds Shaykh Abu Muhammad al Turkistani, also known as Hasan Mahsum, who founded the Eastern Turkistan Islamic Movement (ETIM), which is now called the Turkistan Islamic Party (TIP). Mahsum was killed by Pakistani forces during a raid on an al Qaeda camp in late 2003. Mahsum’s successor, Abdul Haq, is a US and UN-designated terrorist who was appointed to al Qaeda’s elite shura council in 2005. 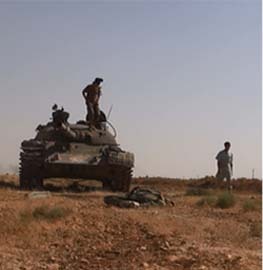 Abdul Haq currently leads the TIP, which fights alongside al Qaeda in jihadist hotspots such as Afghanistan and Syria. Zawahiri discusses the history of the Taliban’s Afghanistan at length, arguing that the Taliban has consistently offered refuge for jihadists who were forced to flee their home countries. The al Qaeda master features Mahsum in his recounting of history, even including him in a Who’s Who list of legendary jihadists. Zawahiri’s recognition of Mahsum is just the latest indication that the TIP is part of al Qaeda’s international network. Early on in the new video, As Sahab (al Qaeda’s propaganda arm) includes footage of Muslims being oppressed by Chinese authorities in Xinjiang. 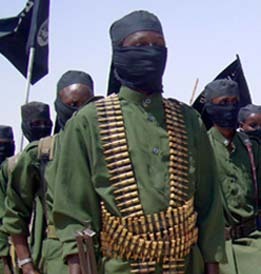 Al Qaeda has consistently portrayed Muslims as the victims of various aggressors, thereby seeking to capitalize on the discontent within local Muslim populations. 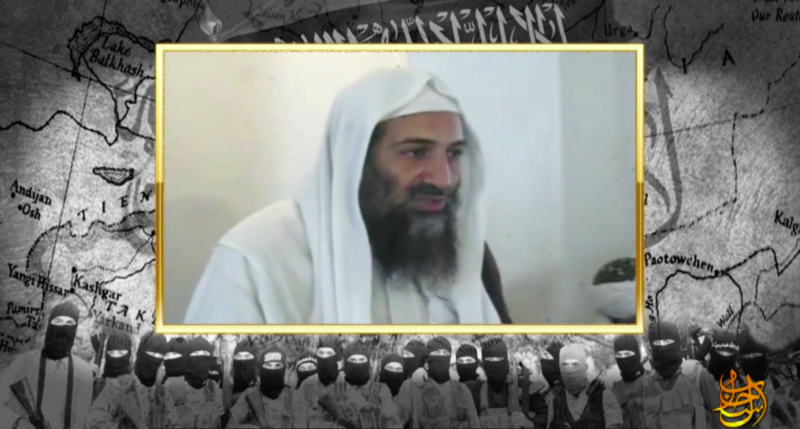 Zawahiri’s rhetoric is consistent with al Qaeda’s guerrilla warfare strategy. Al Qaeda cites local grievances and then filters them through an ideological lens in an attempt to buttress the jihadists’ cause. This strategy is aided by China’s heavy-handed policies, which fuel popular discontent in Xinjiang. The government has, for example, tried to banned Muslim civil servants from fasting during Ramadan. However, jihadists are not the only ones who reject these policies, as the opposition to Chinese authorities in Xinjiang includes other organized actors and ordinary citizens. Al Qaeda’s new “Islamic Spring” video contains several arguments intended to undermine the legitimacy of the Islamic State’s so-called “caliphate”. 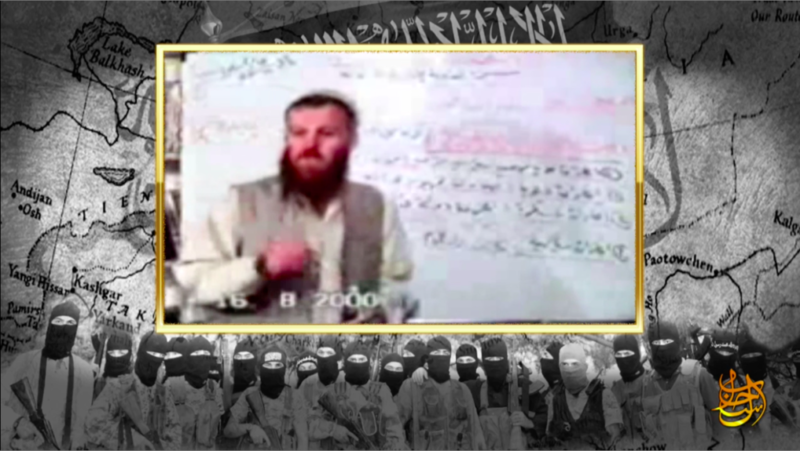 At one point, a clip of Ali Abu Muhammad al Dagestani, the deceased leader of the Islamic Caucasus Emirate (ICE), is introduced. 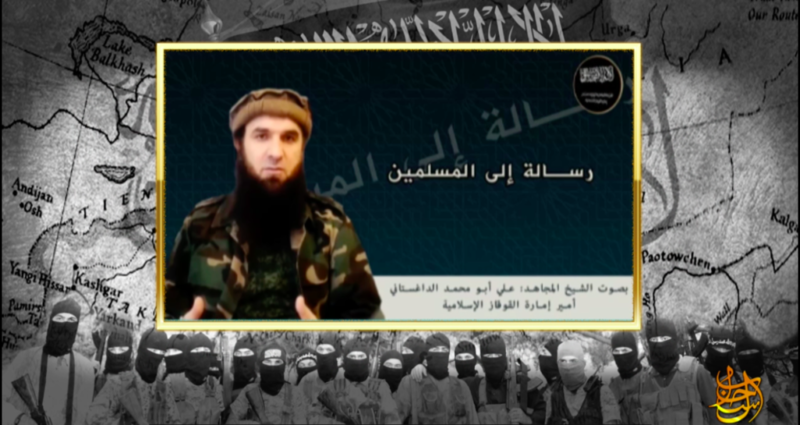 Dagestani, who was killed by Russian forces in April 2015, was a fierce critic of Abu Bakr al Baghdadi’s project. In the audio, Dagestani criticizes Baghdadi for splitting the “mujahideen’s ranks” and declaring a “caliphate” without properly consulting other jihadist leaders. 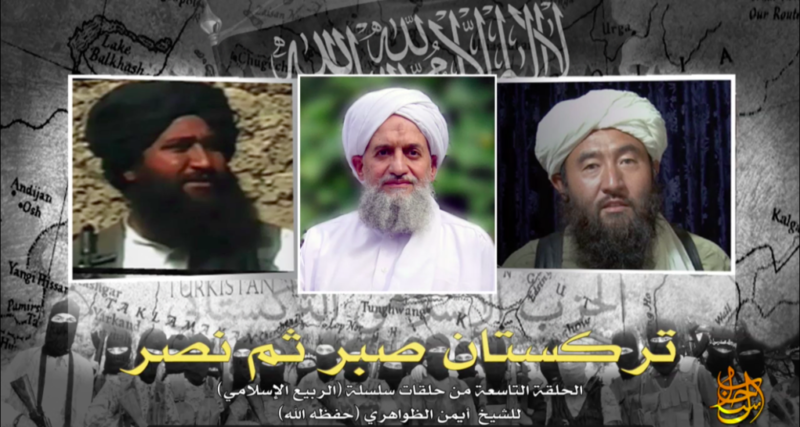 Zawahiri and As Sahab’s propagandists emphasize that the Taliban’s Afghanistan was a safe haven for jihadists from around the globe. Osama bin Laden himself migrated to Pakistan, Sudan and Afghanistan for jihad, Zawahiri points out. Bin Laden “established the Global Islamic Front to wage jihad against the Jews and Crusaders” and then “pledged allegiance to the Commander of the Faithful” Mullah Omar, who was the Taliban’s first leader. Zawahiri argues that the jihadists were united in this approach, as Zarqawi, Abu Hamza al Muhajir and Abu Omar al Baghdadi all swore their fealty to Omar by virtue of their bay’ah to bin Laden. 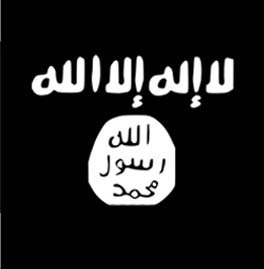 This argument is implicitly directed at the Islamic State, as Abu Hamza al Muhajir and Abu Omar al Baghdadi led the Islamic State’s predecessor (the Islamic State of Iraq) until their demise in April 2010. Abu Muhammad al Turkistani (Hasan Mahsum) also “pledged allegiance” to the Taliban’s Islamic Emirate of Afghanistan, Zawahiri says. 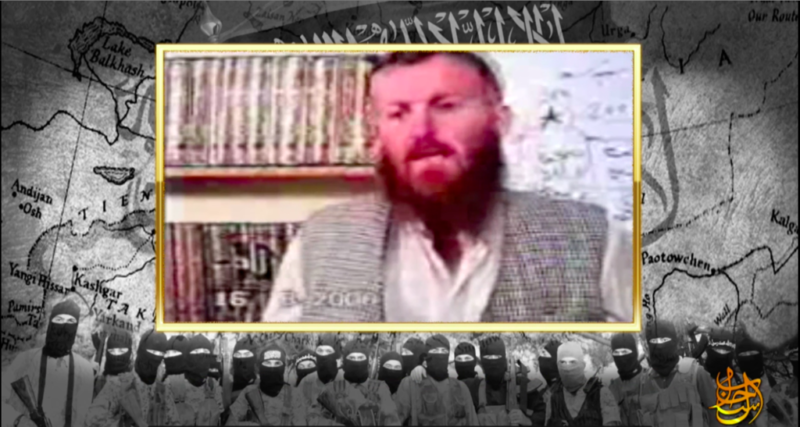 To emphasize the importance of the Taliban’s pre-9/11 rise, al Qaeda shows multiple clips of Abu Musab al Suri in the video. Suri is a key ideologue who is frequently included in al Qaeda’s propaganda to this day, even though it is widely suspected that he is still imprisoned inside Syria. Most of Suri’s classes were recorded prior to the 9/11 attacks. The clips in Episode 9 of the Islamic Spring are from one of Suri’s famous marker board lectures in August 2000. In it, Suri praised the Taliban as a true “Islamic state” that was established despite the wishes of the “international regime.” This was accomplished, Suri argued, after the last Islamic caliphate disappeared decades earlier. Suri praises the Taliban for enforcing Islamic sharia law and harboring Muslims. 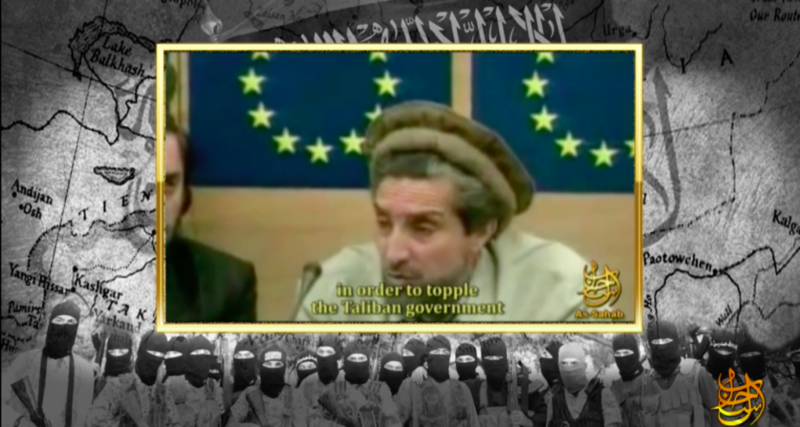 Afghanistan’s “mountains and valleys” know well the “mujahideen from East Turkistan,” Zawahiri tells viewers, as the Uighur jihadists defended the Taliban’s Islamic Emirate against “hypocrites” supported by the international community. 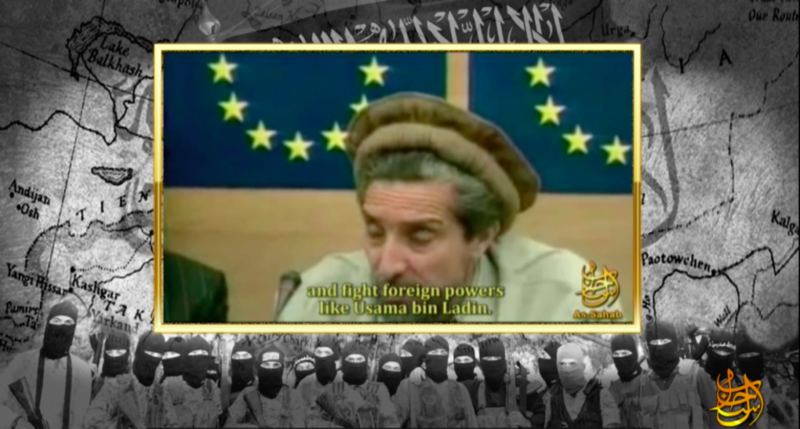 As Sahab’s video singles out Northern Alliance leader Ahmad Shah Massoud as one of these supposed “hypocrites.” A montage includes scenes of Massoud asking for Western assistance in order to defeat the Taliban. Al Qaeda assassinated Massoud just two days before the 9/11 attacks. The “East Turkistan mujahideen fought in Tora Bora, Waziristan, and many other areas in Afghanistan” during “America’s latest Crusade against Afghanistan,” Zawahiri says, according to a translation obtained by The Long War Journal. Some of the Uighur fighters who allegedly participated in the Battle of Tora Bora, and received training at a camp in the Tora Bora Mountains, were detained at Guantanamo. 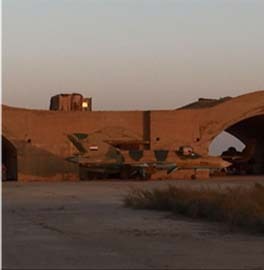 The Uighurs’ “jihad in the Levant proves that the Arab Spring’s course will be corrected,” Zawahiri claims, according to the translation obtained by The Long War Journal. He then blasts Islamist groups that supposedly betrayed their ideological beliefs. The “Arab Spring was wasted and lost” by groups claiming to be Islamist, but that compromised “with secularists,” Zawahiri charges. The “Islamic Spring” that has replaced it is based on “rule by sharia,” dawa [proselytization] and “jihad in the cause of Allah” until the caliphate is reestablished “on the prophetic methodology,” Zawahiri claims. Zawahiri says that the “upcoming victory in the Levant” by Uighur jihadists (in the TIP) and their comrades will show the people of Egypt and Tunisia that the “path of dawa and jihad” is the only way to achieve victory for ummah. According to Zawahiri, the “mujahideen brothers” from East Turkistan have proven that the ummah “does not recognize nationalist” boundaries. 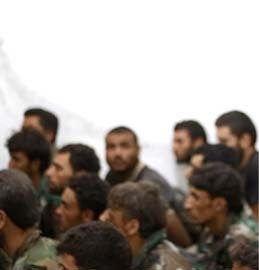 “You confirm the meaning of the mujahideen’s unity against the fierce campaign of Crusaders, Safavids [Shiites], Nusayris [pejorative word for Alawites in Syria], and secularists,” all of whom seek to eradicate “jihad and Islam,” the al Qaeda master tells the Uighur fighters. 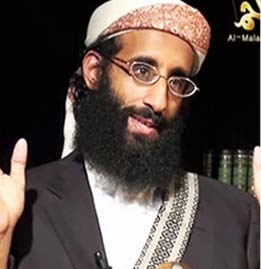 EGYPTIAN-BORN AYMAN-AL-ZAWAHARI FORMER SECOND IN COMMAND IN AL-QAEDA . AND NOW THE SUPREME LEADER OF THIS ORGANIZATION.